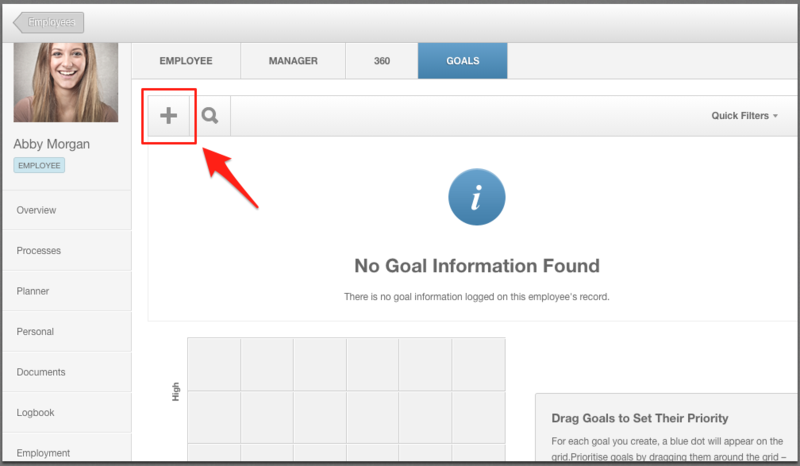 In the Goals page, employees can set their own goals or, as a manager/admin you can assign goals to employees. 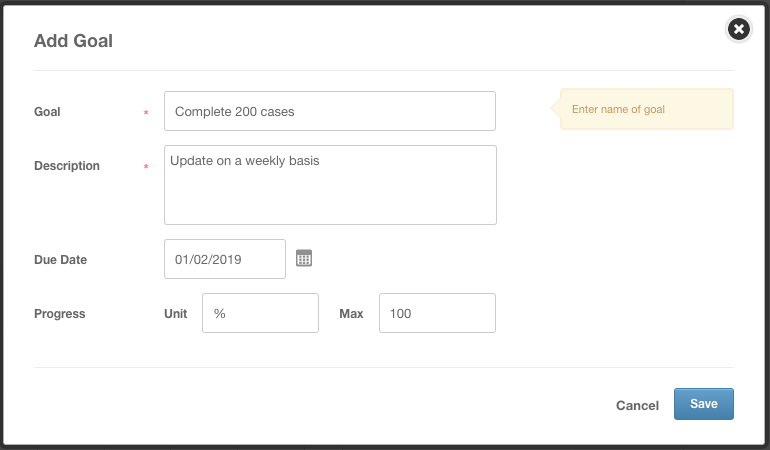 Here you or the employee can add a description, specify a due date, check in and update progress any time and also priorities some goals over others. The Goals page can be found within the employee's Performance Review. A review will have to be present (open or closed) within the employee's record for the Goals to be accessible. 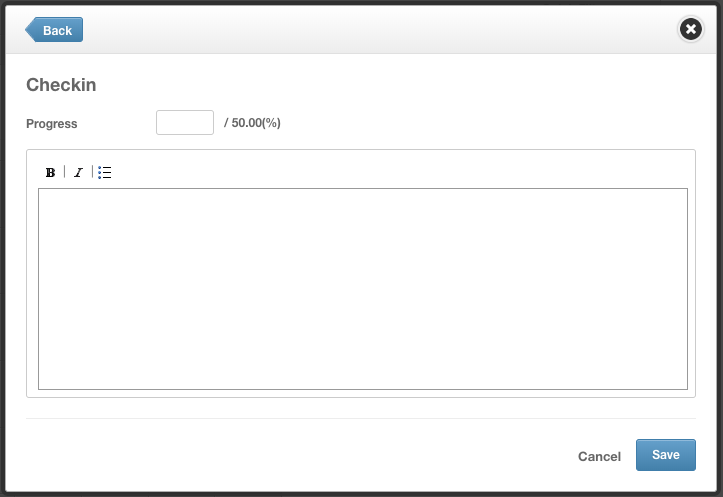 Even if you delete a review, your goals will be stored in the background until you open another or view your past reviews.